College Station, Texas — An aircraft’s impact on the runway is likely the last thing to cross anyone’s mind when boarding a flight. 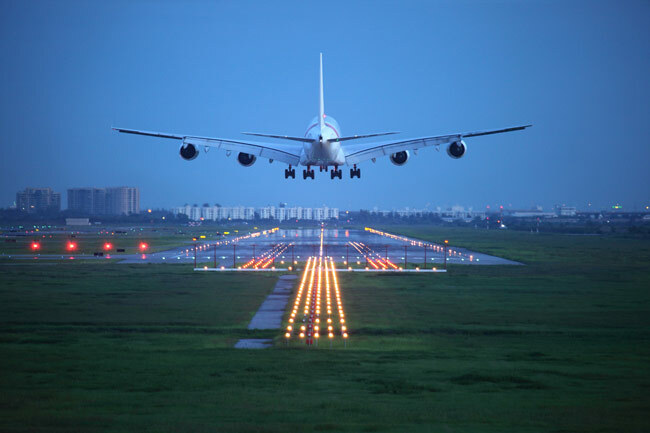 The constant taking off and landing of aircraft throughout the day places stress on runway pavement, which needs to be in good condition to ensure the safety of the aircraft and its passengers. Thanks to a predictive model developed by a collaborative research team led by the Zachry Department of Civil Engineering at Texas A&M, understanding how to build, improve and maintain these runways is now easier than ever. PANDA is the product of almost seven years of development by the research team under a contract with the U.S. Department of Transportation, the Federal Highway Administration and the Federal Aviation Administration. The idea behind PANDA is straightforward but not simple: create a computational model that takes into account variables such as time under pressure, temperature dependency of the asphalt, different types of stress and other environmental factors that impact the usage of runways by aircraft, including diffusion of moisture and oxygen into the asphalt layer. This model would give the user an accurate prediction of the damage the pavement would take over repeated usage and allow designers of airfield and major highway pavement to create or maintain a product that would react optimally to a variety of conditions. The team is using PANDA, in conjunction with test data, to develop a platform that can become a user-friendly software package for industry and commercial usage. “This package will provide the level of reliability required by design and contract agencies, as well as the driving public, reduction in pavement downtime and safety that the infrastructure of today and tomorrow requires,” Little said.